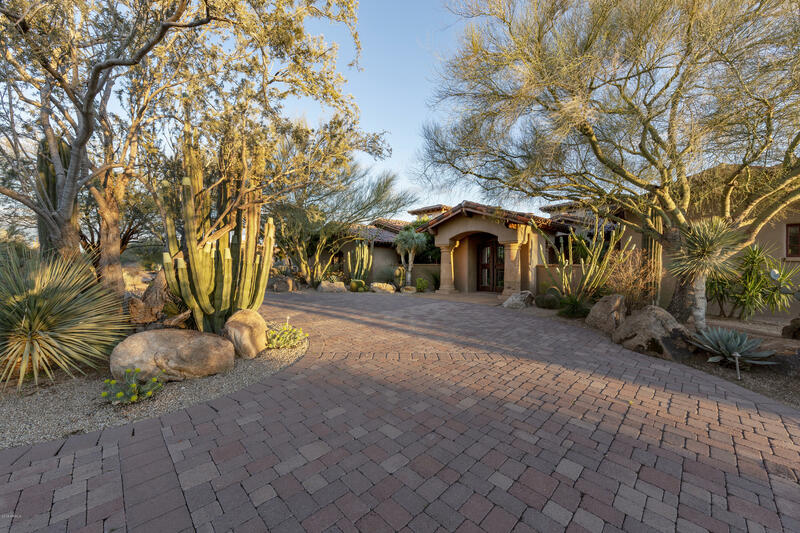 All Whisper Rock homes currently listed for sale in Scottsdale as of 04/19/2019 are shown below. You can change the search criteria at any time by pressing the 'Change Search' button below. "Timeless and elegant family estate on 3-acres in WR Estates with protected, south-facing views of Pinnacle Peak * Built by renowned builder Jesse Hill, this property includes 3 bedroom suites, formal and kitchen dining rooms, over-sized great room, an office and theater in the main house * The detached guest house includes an en suite with a full kitchen and living room plus a separate bunkhouse en suite *"
"Exquisite Mediterranean-inspired residence in the guard-gated community of Whisper Rock Estates * Sited on a south-facing, 2.9 acre lot the property offers an abundance of privacy and views * Craig Wickersham (architect) and Jim DeLellis (builder) combined to create an elegant masterpiece that will stand the test of time * Enchanting courtyard entrance with custom water feature * Thoughtful floor plan creates an ideal setting for entertaining: chef's kitchen with adjoining family room and wet ba"
"SEE VIDEO IN PHOTO TAB - Cascada at Whisper Rock is a remodeled home nestled in Whisper Rock Estates. 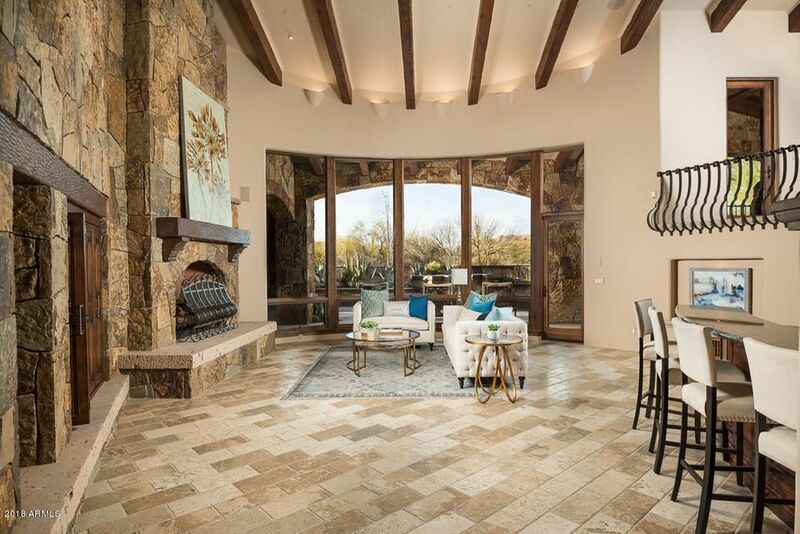 This Territorial style home offers a luxurious environment in which to live, enjoy, & entertain. 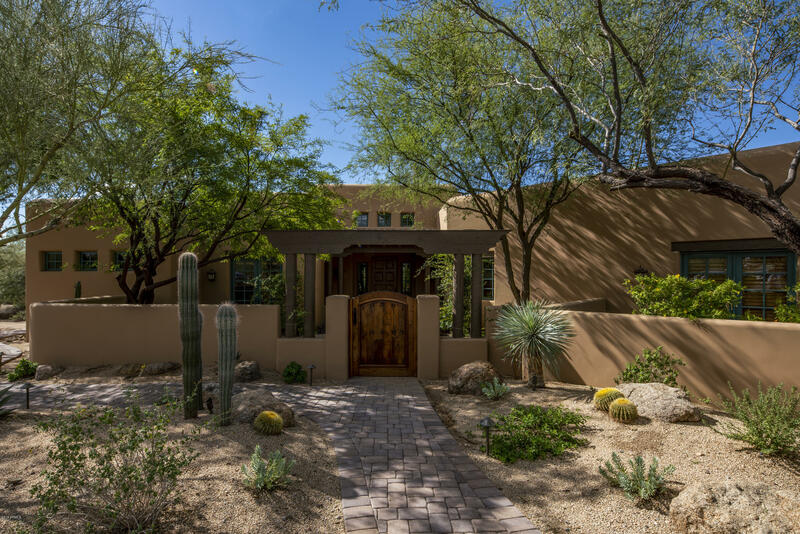 Situated on a South facing lot, this home offers large indoor & outdoor living spaces, providing the perfect Sonoran Desert lifestyle. 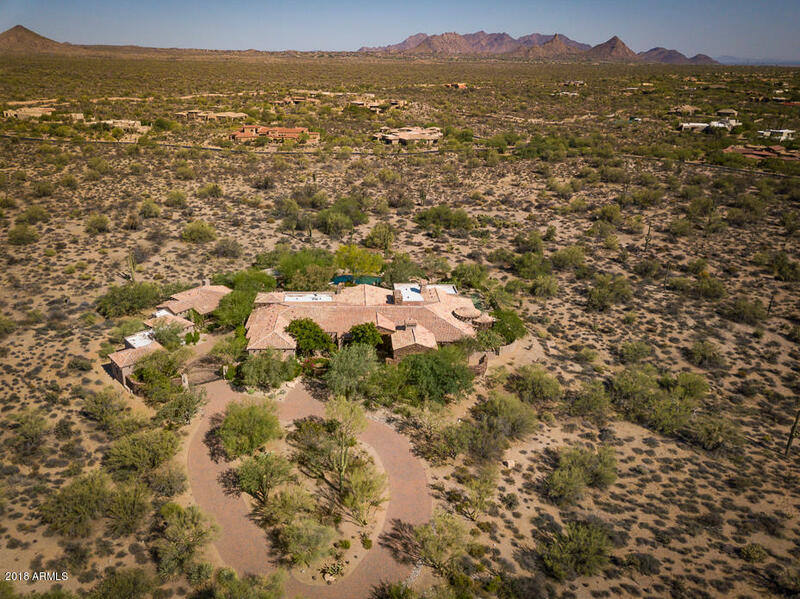 It features five bedrooms, all en-suite, large media room which could also serve as a bedroom, & casita w/large living area, bedroom, full kitchen, separate laundry f"
"Award-winning Builder & Architect combine to create an exquisite residence in the guard-gated community of Whisper Rock * Block construction with all natural stone exterior * Courtyard entry with fireplace & banco seating * Great room design & multiple covered patios create an ideal setting for entertaining & outdoor living * Details include knotty walnut doors & plank flooring, furniture-grade alder wood cabinets, and hand-hewn beams * Sound-proof home theater * Upstairs office & private view d"